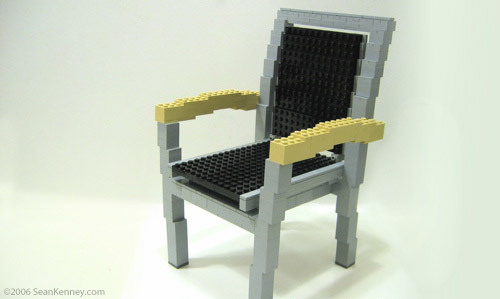 Sean was commissioned to build three LEGO sculptures of furniture pieces designed by Schou, a Danish furniture company. Since LEGO products are also from Denmark, Schou felt the sculptures would be a fun and unique way to illustrate their background with something that Americans can easily recognize. This model is a quarter-scale replica of a real chair. The model was displayed alongside the original chair at an event in October 2006.